TESLA Powerbank launched with 3350mAh capacity. Electric car manufacturer Tesla on Friday launched a Powerbank for Android phones and iPhones. 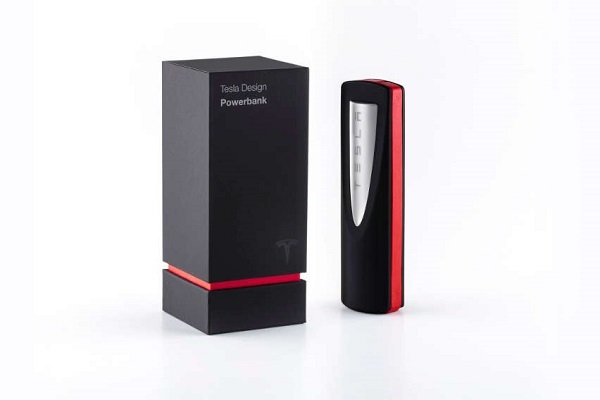 The new Powerbank is designed and inspired after Tesla's supercharger monument at the Tesla Design Studio. The Powerbank uses a single 18650 cell with 3350mAh capacity and features integrated Apple lightning and detachable micro USB. The Tesla Powerbank is priced at $45.